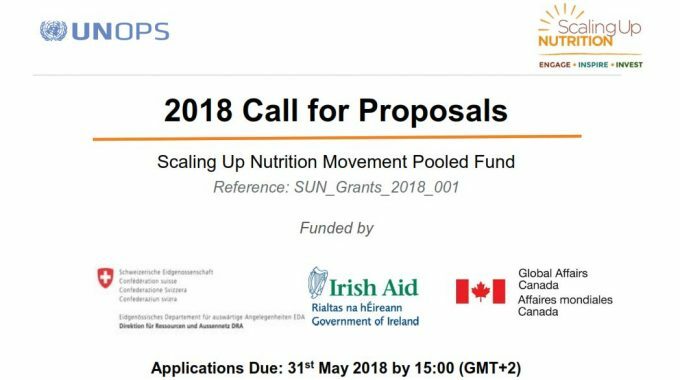 UNOPS invites interested and eligible applicants to join the 2018 round of Scaling up Nutrition (SUN) Movement Pooled Fund grant applicants. Details on the application process and the administration of the grant programme are set forth in this Call for Proposal (CFP) document. Interested applicants are encouraged to read the CFP and its annexes in their entirety prior to applying. 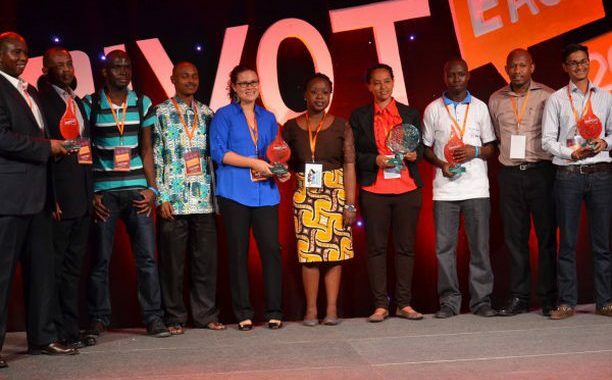 The SUN Movement Pooled Fund (The Pooled Fund) is a catalytic and last resort source of grants to support multi-stakeholder platforms in SUN Countries, in order to increase the effectiveness and impact of national efforts to end malnutrition in all its forms. The Pooled Fund grants will promote engagement of additional relevant actors in the implementation, monitoring, and evaluation of multi-sectoral and multi-stakeholder national plans for nutrition. The Pooled Fund concept was developed in 2017 with the aim to strengthen the capacity of non-governmental systems in SUN Countries. It takes into consideration the lessons- learned from the 2012-2015 Multi-Partner Trust Fund (MPTF) Evaluation, its Management Response, and the SUN Movement Strategy and Roadmap (2016-2020). The Pooled Fund is coherent with the SUN Movement stewardship arrangements and processes at national and global levels. In particular, the Pooled Fund will support actions which reinforce in-country capabilities of all stakeholders in SUN Countries across four thematic areas. Mobilise, advocate and communicate for impact. The Pooled Fund is administered by United Nations Office for Project Services (UNOPS). 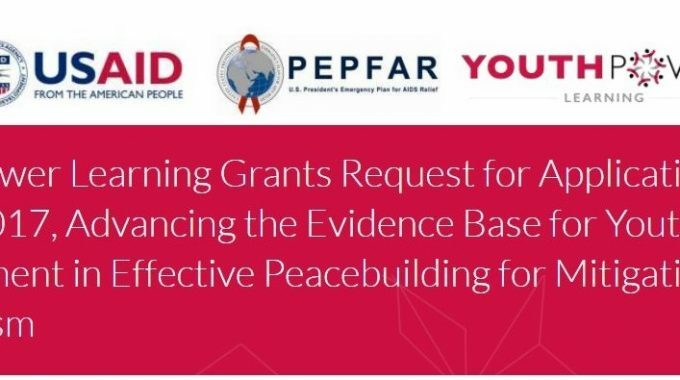 Deadline: 31 May 2018 by 15:00 Geneva [GMT+2]. Late submissions will not be considered. Attached documentation certifying organization’s legal registration. Please save filenames of attachments according to the following guidelines: [Attachment_name]_[Organisation_Name]_[Country_Abbreviation]. For example, Grant_Application_Form_ABCCivil Society_Kenya. Large files may be compressed and attached as a zip file. Language: Applications will be considered only if they are submitted in English, French, or Spanish. Address: Please submit your application by email only. 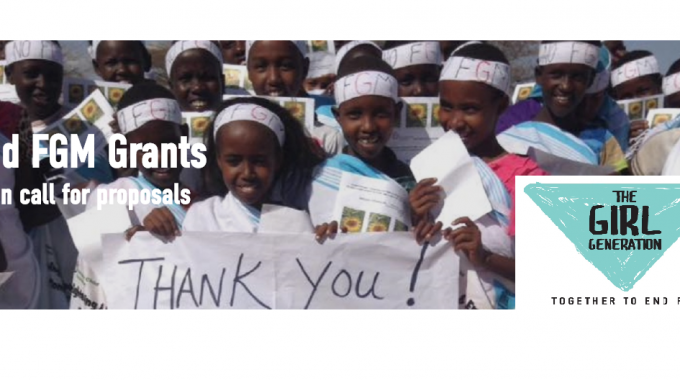 Submission will be accepted only if sent to the dedicated email address: SUNgrants@unops.org. UNOPS will not consider applications sent via post, or to alternative email addresses. Questions and clarification: All questions during the proposal process, shall be sent via email to UNOPS dedicated email address – SUNgrants@unops.org before 25th May 2018.